Are you looking for the best shave of your life? Look no further than Parker Barber Razors. These razors are top-of-the-line, top-quality razors that have been providing immaculate shaves for generations, inspiring folks to living their best, most dazzled and dignified lives. The Parker company has been providing the gold standard in fine grooming supplies for more than four decades. Thanks to their extensive engineering and quality testing procedures and practices, the products of the Parker company reign supreme in excellence, quality, and value. The family owned and operated company works day and night to ensure quality is guaranteed to each and every customer through the power of their products. Parker offers many different razors including safety razors, straight razors, barber razors, and cartridge razors. Additionally, they provide shaving brushes (including pure badger, silvertip badger, black badger, boar, and synthetic brushes), shaving products (including stands, strops, shaving soap, shaving bowls, and travel products), and beard products as well. Thanks to their well-known reputation in the industry as being of the Parker name, each of these products is a leader in its respective class, giving the best possible shave with any product available in the industry today. Before we overview the top Parker barber razor, also consider reading this postÂ The Ultimate Guide to Parker Safety Razors. The Parker SR1 Stainless Steel Straight Edge Razor and 5 Shark Super Stainless blades are ideal for professional barbershop quality use or for use within the home setting. This razor is made of genuine stainless steel with its blade arm and is not made from aluminum, making for this razor to be of top industry quality. The rounded exposure at the end of the blade compartment is specifically designed to minimize cuts and a snap/lock blade holder is featured to ensure the blade is properly inserted and is in a safe position for protection while not in use. This razor also comes complete with 5 Shark Super Stainless Steep half blades. The Parker Safety Razor Heavy Duty Professional Stainless Steel Straight Edge Barber Razor and 5 Shark Stainless blades feature a heavyweight steel blade arm and scale with a rounded exposure at the end of the blade, crafted to keep cuts and nicks to a minimum. This razor accepts barbershop single edge blades or 1/2 double edge blades and comes complete with 5 Super Stainless half blades as well. The clip/lock blade feature is standard to make sure you are safe even when the blade is not in use. The Parker SRW Stainless Steel Straight Edge Barber Razor & 100 Shark Super Stainless Blades is ideal for the straight razor shaver and features an excellent balance to weight ratio for a great shave each and every time. The genuine stainless steel construction that is characteristic of each Parker razor makes this razor a key razor in the industry. This razor accepts barbershop single edge blades or 1/2 double edge blades and comes with 100 extra Shark Super Stainless half blades. The Parker SRB Straight Edge Barber Razor and 5 Shark Stainless Blades is designed for barbershop use and is of professional quality with its stainless steel blade arm that is stronger than any aluminum razor available. Coming complete with five Shark Stainless half blades, these are designed to create a more precise fit for barber and straight edge razors that will not leave you disappointed. The Parker PTB “Push Type Blade Load” Straight Edge Barber / Shavette Razor with Stainless Steel Blade Arm and 5 Shark Stainless Blades is designed for personal or for barbershop use, no matter what you are looking for and no matter what you need. This razor too is of professional quality with the stainless steel blade arm that is designed to be stronger than aluminum. Plus, this razor comes with a removable stainless steel blade holder for easy blade removal and insertion. Lastly, the Parker PTW “Push Type Blade Load” Straight Edge Barber / Shavette Razor with Stainless Steel Blade Arm and 5 Shark Stainless Blades has a removable stainless steel blade holder that makes for easy blade removal and insertion where all you do is slide the blade in or out. This professional quality razor is designed for personal or barbershop use, no matter your needs. Complete with five Shark Stainless half blades, this razor will guarantee you a phenomenal shave time and time again. How to Choose the Best Parker Razor? Choosing the best Parker razor for you can be a difficult choice seeing as how each razor is remarkable on its own merit. However, the good news is that with a Parker razor, you cannot go wrong! Any razor from Parker will provide you with the best shave in the industry. Start by looking at if you need a personal or professional razor and if you are looking for a straight razor or a different type of razor. From there, you will be able to make the best decision for you in reference to which razor will be the best for you too. 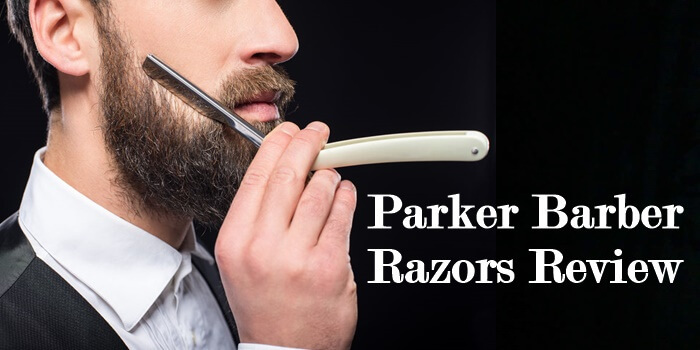 Now that you know a little bit more about the Parker shaving company and the incredible shaving products and razors that they provide, you can finally begin getting the best shaves of your life, the shaves you have been waiting for this whole time. Start your new groomed life today with Parker! Â© 2013-2019 Mister Shaver - Best Shaving & Grooming Supplies for Men Reviewed.